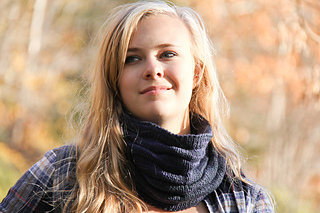 A slouchy cowl with textural ruckles, Ruckowl features a three dimensional tucked body and tidy turned hems. 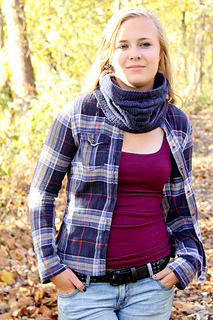 For a fun and warm matched set, look for the companion Ruckle Hat and Ruckle Mitts. 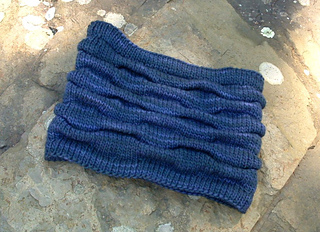 Techniques & Skills Used: provisional CO, knit/purl, knitting in the round; this pattern includes written instructions, as well as a photo and video tutorial for the tuck stitch. Size: S/M (M/L); 21 (24)” circumference, and 7” depth. 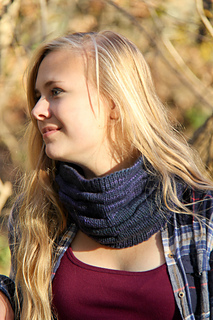 Yarn: Malabrigo Merino Worsted (100% Merino Wool; 210 yards/100g); 1 skein. Size M/L shown in Paris Night. Other Materials: US 9 (5.5mm) 16” circular needle, or size to match gauge; Spare US 9 circular needle, for hemming brim; Stitch marker (1); Yarn needle; Smooth cotton yarn for provisional CO and hem. Thank you to my lovely test knitters, and my wonderful tech editor Kate Vanover. 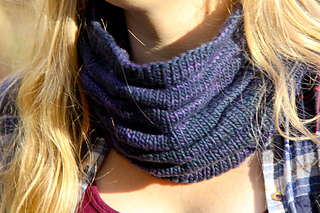 For questions or to show off your cowl, please visit my Ravelry group, The Knitting Vortex.